I bought VIP tickets which included the new CD. I got the email to redeem the new CD and have not received it in the mail, yet. I tried emailing the help email and it came back with a delayed delivery and then said that it could not be delivered. What do I do? Please make sure you do not have a typo in the email. 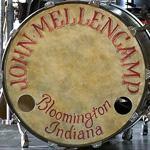 Email us at help@mellencamp.com and send your order confirmation email and we will assist!